Amorino is a rapidly growing franchise of gelato shops (or is it shoppes?). We were asked by the owner of one shop in NYC to come up with a cheap way to increase his traffic of dessert lovers. The solution: The Dessert Hijack. 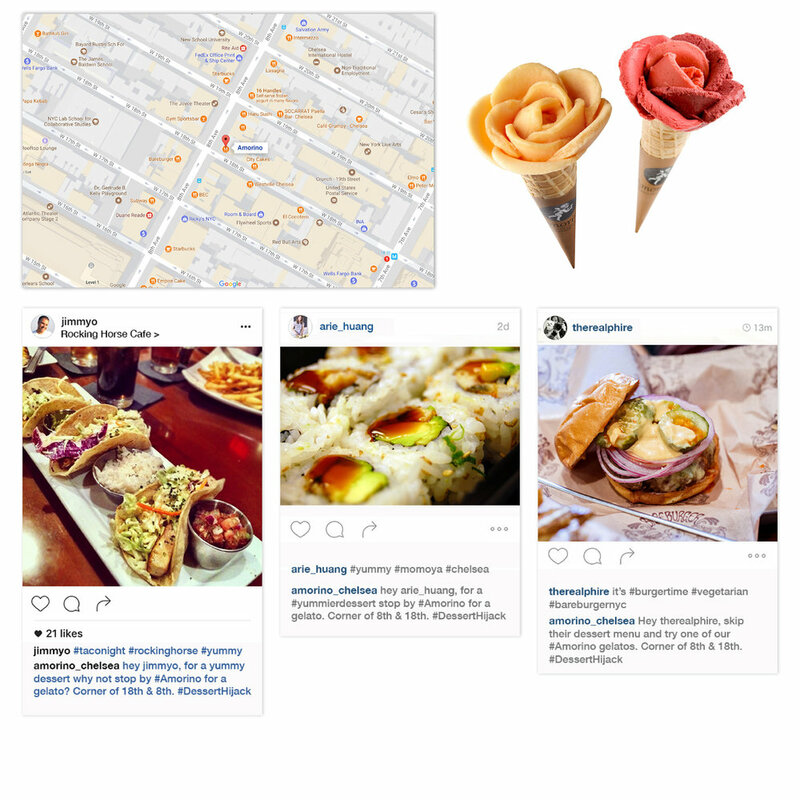 We geo-targeted foodies on Instagram, who were posting pics of their meals at restaurants within a four-block radius of his shop. By responding to their posts within 30 minutes of their posting, we urged foodies to ignore the dessert menu of the restaurant where they were still finishing their meal and bring their dessert appetites to Amorino. The result: an immediate increase traffic of over 20%. And for those who showed the cashier their smartphones with our response to their post, a free scoop was thrown in for good measure. Cost of media...nothing. // Role: Creative Director/Art Director.